This tender story about fresh starts will charm readers as all of Melody Carlson’s Christmas offerings do. 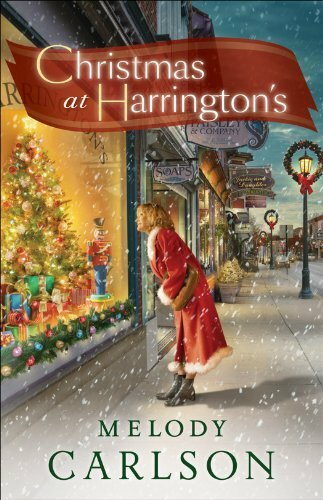 Full of redemption and true holiday spirit, Christmas at Harrington’s will be readers’ newest Christmas tradition. Christmas at Harrington’s by Melody Carlson was a great Christmas read. I really enjoyed this one. Yes, it was a bit predictable. And yes, it read just like a Hallmark Christmas, but that is what I enjoyed about it.